This fascinating travel perspective is sure to become an invaluable resource in every library and on every coffee table and bookshelf as the past is uncovered through the lens of sacred travel. Including both academic and popular religious perspectives, this comprehensive world guide will be of interest to both experts as well as the spiritual novice. Author Karen Tate deftly combines current trends, academic theories, and historical insights, some of which may surprise even the most well read or jaded traveler. 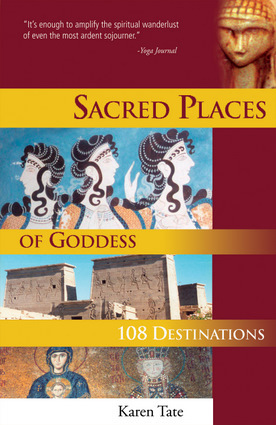 This volume of sacred sites brings both lesser-known and famous locales into perspective as it explains the significance of Goddess both today and in centuries past. Whether the reader is an armchair or seasoned traveler, they will be delighted by the insights, humor, as well as the in-depth cultural and artistic experience of Sacred Places of Goddess. 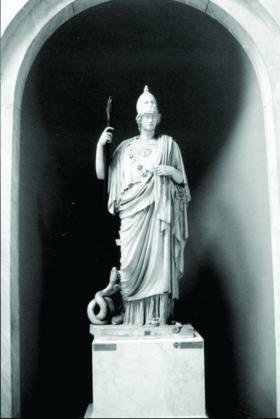 Never before have so many cultures, places, and spiritualities of Goddess been compiled between two covers. 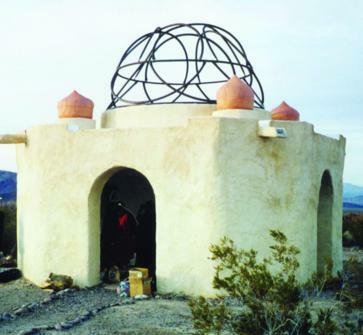 Reverend Karen Tate, independent scholar, accomplished researcher, gifted writer, seasoned traveler and sacred tour organizer is a prolific lecturer on the subject of Goddess worship.